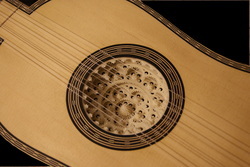 Summer Early Music Methodical Courses is an event with 10 years history. Its main goal is building awerness of historical estetic and performance practice of early music in polish education. It is also a complex and carefully planned way of professional development. Courses combine seminars and mehodical workshops for teachers of artistic schools as well as consultation of interpretating early music for pupils, students and graduates of every educational level (soloists and chamber music players). vocal-instrumental-dance groups working at culture centers. Interdisciplinary character of Courses combine pracitce of playing music with dance and with theoretical knowledge. Wide and complex program was designed in way, that allows to attend for participants at various level of experience and knowledge. Offer is dedicated not only to people familiar with performance practice of early music, but for most to those, who want to make their first steps and gain skills in playing early music on modern and historical instruments. The event allows also to deepen awerness of problem of style in early music and at the same time master professional musical skills and didactic competence. Program of The Courses covers seminar classes, workshops in a form of an open lessons (acc. to given specialties), presentations, scientific seminars, theoretical lectures, chamber music classes, workshops of dance and movement, general development classes (psychoeducation, rehabilitation, stage outlook) and concerts of participants and lecturers. During courses only primary or urtext sources are used.